Established in 1983, St. Hubert's acclaimed pet training school offers one of the most comprehensive and respected dog training and behavior programs in the nation. A good education may be the most valuable gift you can ever give your canine companion. Proper training will enable your dog to become a well-behaved family member, participating in daily activities both at home and in public. Training also increases effective communication between dog and pet parent which strengthens the special bond you share with your best friend. Classes are conducted in St. Hubert's modern training facility located at our 575 Woodland Avenue Campus in Madison, New Jersey. Fully air-conditioned for year-round comfort, our school features three large, fully matted and cushioned training rings. Outdoor classes are offered seasonally in a spacious yet secure area on site. In addition, we are pleased to begin offering pet training classes in Ledgewood, New Jersey, where we have partnered with The Animal Hospital of Roxbury. Through humane methods such as reward-based training, fair leadership and simple kindness, more than 4,000 canine diplomas are awarded annually to guardians and their dogs! The schedule for training class is listed online and can be accessed at the menu to the left. If you have questions about what class to enroll your dog or puppy in, please call us at 973-377-0116 and we will be glad to assist you! Casey, an alumnus of St. Hubert's, recently graduated from training! The St. Hubert’s Scholarship Fund was created to help animals that are adopted adjust to their new home and bond with their new family. We all know that the more time we spend with our pets, the stronger our connection and the better our communication with them is. For an adopted animal, it also increases the odds that they will not be returned to the shelter for behavior issues. 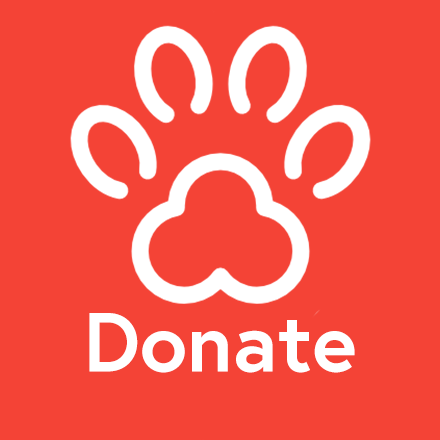 For every $100 collected, we will grant a full scholarship to one of our training classes (for our canine companions) or a private, in home session (for our feline friends). Our goal is to collect enough donations to offer this to every animal available for adoption at any St. Hubert’s Animal Welfare Center location. Please consider donating to this amazing fund and help us give the gift of learning to homeless animals in need. Whether you choose to give a one-time gift or choose to make it a recurring, monthly donation, your help is greatly appreciated by all of us.